UPPER WEST SIDE, N.Y. (WABC) -- Police said two men opened fire into a large crowd over the weekend on New York City's Upper West Side. Shots rang out just after midnight Sunday inside the courtyard of 840 Columbus Avenue, which runs between West 100th and West 104th streets. Police said the two men displayed a gun and then started shooting into the crowd. No one was shot or injured during the incident. 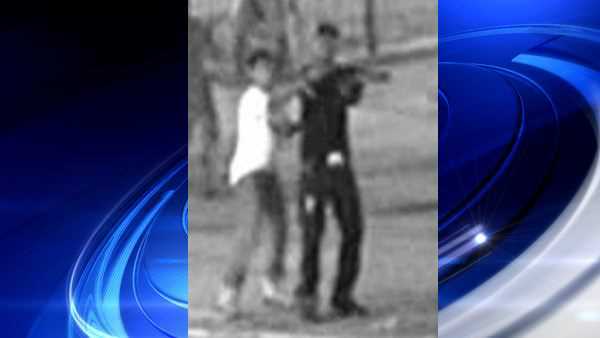 Detectives released a surveillance photo of the two men they're looking for in connection with the shooting. Anyone with information is asked to contact NYPD's Crime Stoppers Hotline at 800-577-TIPS.